“But how are we going to fight against professional soldiers?” a boy asked. “Won’t we make things worse by being underfoot? How will the adults fight if they are worried about our safety?” the boy continued to ask. “We will help, yet keep our distance,” Lerim explained. “I don’t understand,” the boy stated. Ehud rode hard, past the idols of Gilgal and the quarry. The sun set, lighting the mountains of Moab across the river with a deep red hue before darkness quickly descended. That’s where your people belong, Ehud thought to the dead Tyrant. You should never have crossed the river. But now we will push you back. Ehud blessed God for the full moon that let him ride through the night. He reached the hills of Mount Ephraim. He saw a handful of bonfires and a few men awake. In the shadows, he could make out a large camp, asleep. He rode to the first bonfire and met big Perad, his assistant. Ehud removed a hollow ram’s horn from his saddle. In the middle of the night, under the full moon, he raised the tip of the horn to his lips and blew with all his might. The sound of the horn reverberated throughout the mountain and down to the valley below. Again and again Ehud blew on the horn. Those in the camp awoke immediately and congregated around Ehud. Men from nearby towns approached the midnight convocation. More than one thousand men followed Ehud to the Jordan plain. “Eglon is dead,” Bagdon said to Galkak in the palace hallway. Bagdon breathed deeply, fighting for a sense of control. Galkak put out his arm and clasped Bagdon’s. Ehud and his men reached the Jordan valley with the morning sun. They carried axes and hoes, pitchforks and spades. There were a few crude bows amongst the men. Perad carried a large hammer and had brought one for Ehud as well. Lanky Davneh carried a hammer as well – every man took the tool he was comfortable with. Moabite soldiers filled the valley and let the Israelites through uncontested. Six thousand Moabites guarded the perimeter of the valley. Another four thousand soldiers of Amalek and Ammon waited at attention outside the City of Palms. Lerim and his companions, about three dozen youths, reached the edge of the tall mountains overlooking the Jordan valley. They could see the City of Palms, the ruins of Jericho and the expanse of the valley until the river. Lerim looked at the rising sun expectantly and blessed God for the hot cloudless day. “This can work,” he said to his followers as they removed their copper tools and polished them again. “I would have expected more firstborns. And many more children. I don’t see any children.” Bagdon said to Galkak as they saw the Israelites approaching. They both sat on their mounts, Galkak with four thousand of his men behind him. “Perhaps they are coming in stages,” Galkak suggested. The Israelites reached the Moabite forces stationed by the river crossing and smashed into them. Hoes, hammer, scythes and axes tore into the Moabite soldiers. The Moabite force fell apart under the surprise attack. Bagdon spotted Ehud at the lead. “It’s Ehud! It is an attack!” Bagdon yelled. “Moabites! Destroy that Israelite force! Now!” Bagdon charged forward. “Amalek! Ammon! Attack Moab now!” Galkak called out. Bagdon whirled his stallion to face Galkak. Galkak’s men hacked at the Moabites from behind. “I’m just happy to keep you occupied while my men destroy a leaderless and confused army.” Galkak smiled as he parried Bagdon’s blows, all the time keeping an eye on the progress of the battle. “You are wasting my time.” Bagdon disengaged from Galkak and surveyed the battle. The fighting was concentrated by the river crossing. The Moabites from all over the valley were closing in on the Israelites. Galkak’s men had taken the Moabites by surprise, but now the Moabites with their superior numbers were fighting back. Moabites, Amalekites and Ammonites were falling left and right. Only the Israelites, with their crude tools, seemed to suffer the least casualties. Bagdon looked closely and then understood why. Ehud was off his horse and was fighting with a canniness and accuracy that Bagdon would not have believed possible. Ehud had already picked up two swords from fallen Moabites and was ducking under blows, stabbing those approaching from behind and wrecking havoc throughout the Moabite line. Then Bagdon caught a glimpse of a man speeding around the Moabite troops, laying them low. The famed Boaz, Bagdon realized. Boaz had more grey than red on his head, but he still managed to incapacitate the best Moabite soldiers. Explosions of smoke racked the Moabite line and another grey red-head led an Israelite charge against the confused Moabite soldiers. That must be Amitai, Bagdon thought. The old militia has reassembled. But we still outnumber them. We still have the advantage of training, of arms, of mounts. Even with Galkak’s treachery. But Ehud is the key. If I can stop him, I can end this quickly, Bagdon decided as he called a squadron of soldiers to him and marched towards the whirling Ehud. Mahlon burst into the quarters of the Empress. She sat morosely, Ruth and Orpa on either side of her. “Quick, Empress, princesses, you must leave the palace!” Mahlon said, holding a torch in his hand. “Can we not mourn in peace! ?” Empress Neema asked. Mahlon touched the torch to the bed of the Empress which quickly caught the flame. In moments there was a roaring fire. Mahlon exited the burning room, with Eglon’s family fast behind him. The women headed towards the stable. Mahlon headed deeper into the palace to see what else he could burn. Ruth looked at his receding back and somehow knew, I will see you yet again Mahlon son of Elimelech, prince of Judah. Davneh was afraid. Every time he stabbed a Moabite. Every time he almost died. He was no soldier. He didn’t have Perad’s strength or Ehud’s amazing skill. Davneh was filled with cuts and bruises. He was tired. The initial excitement from the first attack had worn off. He had fallen behind Ehud and now Moabites were attacking them from the sides and the rear. More Israelites were falling. There seemed to be an endless number of Moabites just waiting their turn to try and kill them. One large Moabite reached Davneh and raised his sword for a killing stroke. Davneh no longer had the strength to move or defend himself. Suddenly, a flash of light struck the Moabite in the eyes, blinding him momentarily. Davneh blessed God for the reprieve and stabbed the large Moabite. Lerim had taken pieces of copper from the smithy. Pieces from old pots, scraps from oil lanterns and together with his friends they had polished them to a mirror-like shine. From their vantage point of the mountains, they were able to reflect the strong desert sun into the eyes of their enemies. “Yes!” shouted another boy, as he successfully blinded another Moabite about to stab an Israelite. The Moabite was then killed in turn. The tactic was proving successful and helping the battle. Best of all, they were out of harm’s way. However, Bagdon’s sharp eye noticed the phenomena and traced the source to the jumping boys on the mountain. He sent a squadron of soldiers towards the boys. The City of Palms was on fire. The few non-combatants under the leadership of Empress Neema fled south, away from the battle. Mahlon rode Chamrah towards the battleground. He looked awkward riding on a donkey beside the soldiers on their large warhorses, but he trusted Chamrah with his life. Moabite soldiers looked back in distress to see their city burning. Mahlon looked at the Jordan River, dark with blood. He noted the advantage the Moabites had over the Israelites with their cavalry. Stop! Mahlon ordered all the horses his mind could reach. Dozens of horses stopped suddenly, sending their riders flying forward. Bagdon and his men fell off their horses, paces away from Ehud, who was still at the forefront of the battle. “Arrows on Ehud!” Bagdon commanded his men from the ground. A dozen archers placed their arrows in their bows and aimed at Ehud. Galkak, on his stallion, jumped into the line of fire. Eight arrows hit the horse and four arrows hit Galkak. Galkak fell off his horse. Ehud saw Galkak fall and ran towards him. The two warriors with their men branched off from the main Israelite force and attacked Bagdon’s group. Bagdon looked around. Few remained standing from any of the armies, except for the Israelites. Thousands upon thousands of corpses littered the battleground. Moabites, Amalekites and Ammonites lay as puppets whose strings had been violently ripped, their blood mingling in the flowing Jordan. Only the Israelites remained as a force, angry and ready for more blood. Bagdon did not understand how they were defeated so thoroughly. A few farmers, that’s all it was, Bagdon thought in confusion. And that traitor, Galkak. If it weren’t for Galkak, curse him, we would have won. Curse that Amalekite. Big Perad and grizzled Amitai closed in on Bagdon menacingly. Then a painful light blinded Bagdon. That’s enough, Bagdon decided. We cannot take anymore. Bagdon ran away from the approaching Israelites. 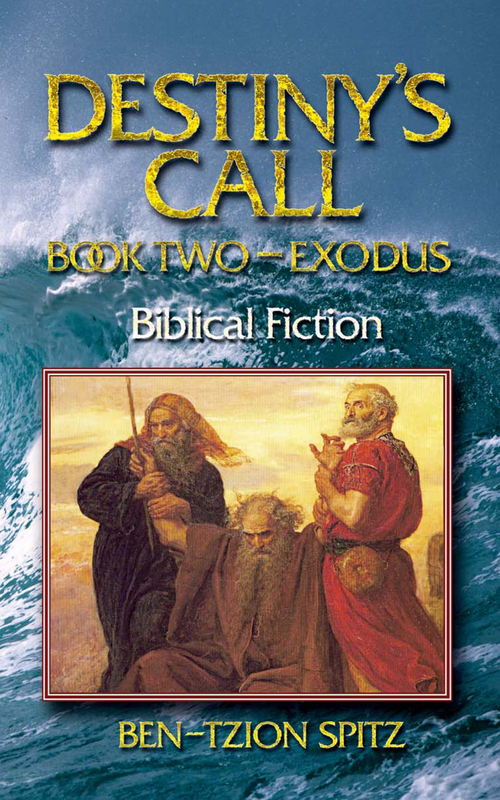 “Galkak,” Ehud held the fallen man. “I ain’t gonna make it this time, Ehud,” Galkak said, two arrows in his chest and one in his stomach. “Galkak, is there anything we can do for you? Any last wish? A message to your family?” Ehud asked as he felt Galkak’s spirit ebb. “I could really use a drink,” Galkak said and then died in his friend’s arms. Davneh’s one joy in life had been working in the smithy. He was not very smart, nor very brave. He was not particularly attractive and no girl had deemed him a worthy groom. Even in the smithy, he was only good as a helper. He never felt that he accomplished anything beyond cleaning the smithy or stoking the fire. He never did anything important or worthwhile. But he belonged. That was the only reason he had joined the battle, because of Ehud and Perad. Part of him wished he could have been excused, like young Lerim. Now his entire body ached. He had never hurt so much in his life. Not when he had dropped the heavy smithy hammer on his toe, or when he had burned himself on the tongs that he had left by the furnace. He had gashes throughout his body and he could barely move. All he wanted to do was fall to the ground and die. But there were still Moabite soldiers about, wielding their swords expertly. Davneh saw the famed Boaz nearby. He had grown up on stories of Boaz’s exploits and powers. 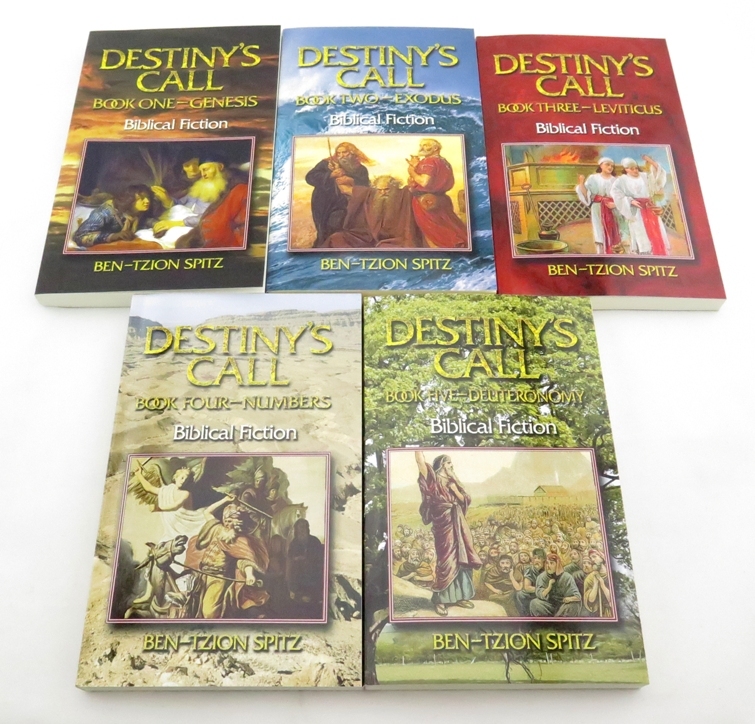 Boaz was kneeling on the ground, murmuring. “I’m too old for this,” Boaz wheezed. Boaz’s right arm was covered with the blood of his many victims and his legs wobbled as if they were about to collapse. He didn’t seem to notice the large Moabite approaching him from behind. Davneh had no more voice left to warn Boaz of the Moabite. Instead, he ran at the Moabite with his last remaining strength and threw himself at the giant of a man. The Moabite skewered Davneh in mid-air. Boaz awoke to the movement, turned on the Moabite and stabbed him in turn. Davneh fell to the ground and with his last breath said: “At last, something worthwhile.” He died with a tired smile on his face. Bagdon ran hard and fast. He found his mount and rode it south, away from the battle. A lone man on a donkey stood in his way. “You must be rejoicing, stable boy,” Bagdon said to Mahlon. “Get out of my way and I won’t kill you,” Bagdon said. Bagdon slashed suddenly at Mahlon, cutting at his arm and knocking Mahlon off of Chamrah. Bagdon jumped off his horse and approached the fallen Mahlon, preparing a death-blow. Chamrah charged at Bagdon and bit his leg. Bagdon aimed for Mahlon again, but Chamrah stood in his way and neighed loudly. Chamrah then kicked Bagdon and chased him, nipping at his buttocks as the former general of the Moabite Empire ran away. Lerim saw the force of Moabites scaling the mountain towards them. The battle looked like it was almost over, but now they needed to worry about their own survival. Running did not seem an option. Once the soldiers reached the top of the mountain, they would be able to catch the young Israelites easily. The boys shone their polished copper pieces on the climbing soldiers. They tried to blind them exactly when they were reaching for that precarious ledge or about to step into a more secure foothold. They managed to blind a few soldiers at precisely the right moment and watched gleefully as they tumbled down the mountain, not to return. At others they simply threw rocks and large stones. In one case they were able to start a small avalanche that buried two Moabites. Finally, one large Moabite crested the mountain ledge, sword in hand. Thirty boys pelted the soldier at once with fist and head-sized stones. Half a dozen other boys, with Lerim amongst them, took long branches and smashed the soldier at the same time. The Moabite went tumbling down the mountain, never to trouble anyone again. The Israelites easily killed the remaining Moabites who were not as light-footed as Bagdon. Few Amalekites or Ammonites had survived the battle either. Many had tried to escape east across the river, but the Israelites held the river against them. Ten thousand corpses lay in the valley of the Jordan River, very few of them Israelite. The Israelites gathered their wounded and dead and headed back home. Ehud had Galkak’s body sent to his hometown of Aroer. He watched as the flames of the City of Palms died down, just leaving the charred remains of what had once been the capital of the Moabite Empire. Perad found a cart, placed Davneh’s body on it and hitched their horses to the cart. “What shall we do with the enemy’s dead?” Perad asked Ehud. Perad, Ehud and the rest of the Israelites left the valley of the Jordan River as the afternoon set in. The mountains of Moab appeared redder than usual in the setting sun. 26 And Ehud escaped while they lingered, having passed beyond the quarries, and escaped unto Seirah. 27 And it came to pass, when he was come, that he blew a horn in the hill-country of Ephraim, and the children of Israel went down with him from the hill-country, and he before them. 28 And he said unto them: ‘Follow after me; for the Lord hath delivered your enemies the Moabites into your hand.’ And they went down after him, and took the fords of the Jordan against the Moabites, and suffered not a man to pass over. 29 And they smote of Moab at that time about ten thousand men, every lusty man, and every man of valour; and there escaped not a man. 30 So Moab was subdued that day under the hand of Israel. And the land had rest fourscore years.